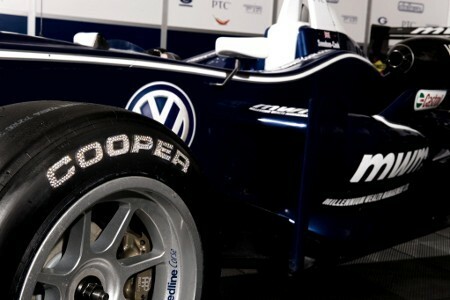 If It's Hip, It's Here (Archives): Crystal & Diamond-Encrusted Cooper Tires For 60th Anniversary Of Formula 3 Racing. 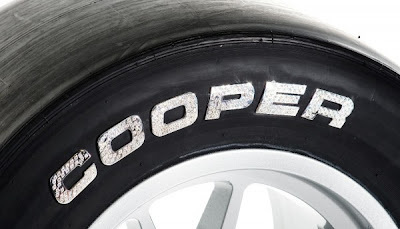 Crystal & Diamond-Encrusted Cooper Tires For 60th Anniversary Of Formula 3 Racing. Cooper Tire celebrated the diamond anniversary of Formula 3 racing in Britain by creating a set of jewel-encrusted tyres. 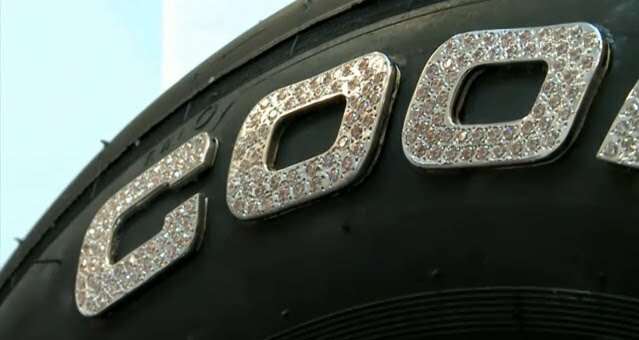 The tyres were made by London jeweller, Freddie Keeble at FK Diamonds, using both diamonds for the 60th anniversary, and Swarovski crystals. 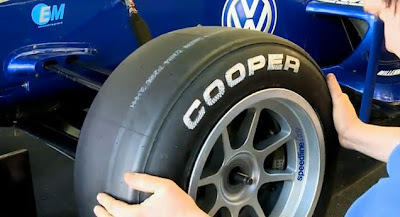 The tyres were unveiled at Silverstone during the launch of the 2011 Cooper Tires British F3 International Series, where they were bolted on to the race car of Carlin driver, Rupert Svendsen–Cook. 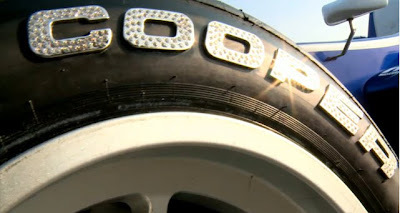 The 2011 season is also the 30th consecutive year that Cooper Tire and its associate brand, Avon Tyres, have acted as sole supplier to the prestigious championship. In the last 60 years, the list of former British F3 competitors to progress to Grand Prix racing include such luminaries as Ayrton Senna, Nigel Mansell, Jenson Button, Damon Hill, David Coulthard, Martin Brundle, Nelson Piquet, Johnny Herbert, Mika Hakkinen and Rubens Barrichello to name but a few. In order to set the crystals and diamonds, Keeble cut the Cooper logo out of metal and then set the stones within that to ensure they would be secure. 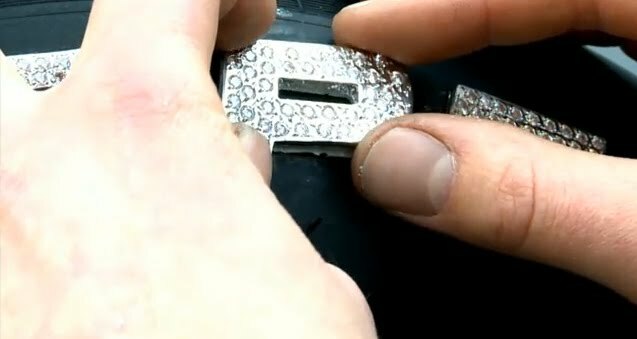 The individual lettering was then attached to the tyre with a strong adhesive. 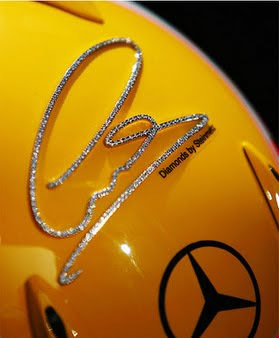 The tires go very nicely with these diamond encrusted racing helmets!